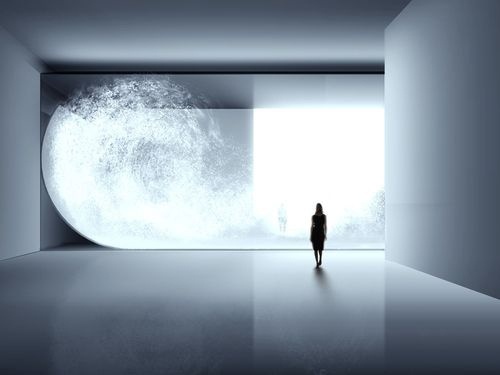 Feathers fly around this 15 metre-long tank installed by Japanese designerTokujin Yoshioka at the Mori Art Museum in Tokyo. Date: 2010. July 24.~ November 7.